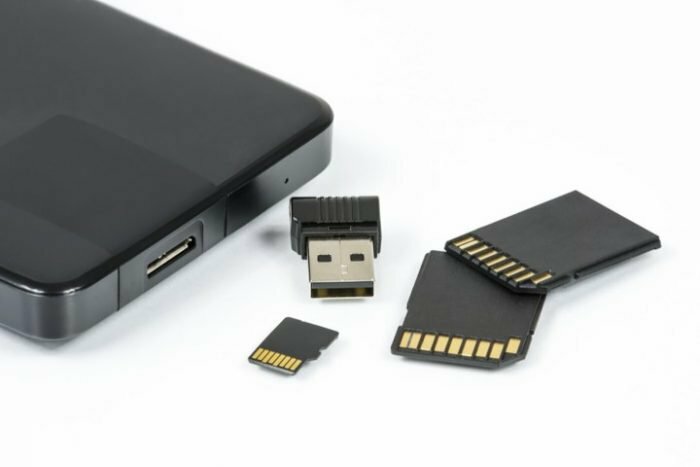 To be sincere, many people doesn't know the differences between these storage capacities and many havn't even heard about it before, while many get so confused when dealing with the nomenclature of the memory terminology in computer world. Lets set the words straight, shall we? Gigabytes, Terabytes and Petabytes: Which is Bigger and at what multiples? Less helpful in the real world is the smaller bit (there are 8 bits in 1 byte) and the larger zettabyte and yottabyte, among some others. We won’t be sticking yottabyte size memory cards in our cameras anytime soon so consider those some impressive words to throw around at your next party. To convert from one unit to another, just know that for every level you go up, you multiply by 1,024. Don’t worry if that’s confusing – you’ll see enough examples below that you’ll have the math down in no time. NB: You’ll see many sources online say that each new level is 1,000 times greater than the smaller, not 1,024. While it is true in some cases, in practical terms, considering how computers use storage devices, 1,024 is the more realistic multiplier to do your calculations with. How Many Gigabytes (GB) in a Terabyte (TB)? There are 1,024 GB in 1 TB. A TB is 1,024 times bigger than a GB. To convert TB to GB, just take the TB number and multiply by 1,024 to get the number of GBs. To convert GB to TB, just take the GB number and divide by 1,024. How Many Megabytes (MB) in a Gigabyte (GB)? Like in the previous example, a GB is 1,024 times bigger than a MB. To convert GB to MB, take the GB number and multiply by 1,024 to get the number of MBs. To convert MB to GB, take the MB number and divide it by 1,024. The terabyte (TB) is the most common unit used to measure hard drive size and a number you might actually run into from time to time. A single TB is a lot of space. It’s would take 728,177 floppy disks or 1,498 CD-ROM discs to store just 1 TB worth of information. As of 2017, most new, average priced computer hard drives were in the 1 to 3 TB range. Many ISPs cap monthly data usage at 1 TB. The Hubble Space Telescope generates about 10 TB of new data every year. Around 130,000 digital photos would require 1 TB of space… close to 400 photos every day for a year! IBM’s famous Watson game-playing supercomputer has 16 TB of RAM. As you saw in the GB to TB math above, 1 TB is equal to a bit more than one trillion bytes. How Big is a Petabyte? The petabyte (PB) is just a crazy large chunk of data but it actually comes up more and more these days. To store a single PB would take over 745 million floppy disks or 1.5 million CD-ROM discs, clearly not an efficient way to collect a petabyte of information, but it’s fun to think about! The movie Avatar needed about 1 PB of storage to render those graphics. It’s estimated that the human brain can store around 2.5 PB of memory data. Over 3.4 years of 24/7 Full HD video recording would be around 1 PB in size. As of late 2016, the Wayback Machine was storing 15 PB of data! 1 PB is equivalent to over 4,000 digital photos per day, over your entire life. A single PB is 1,024 TB… you know, that number we already established was enormous even at one! In yet a more impressive view, 1 PB is equal to over 1 quadrillion bytes! Talking about even a single EB seems a bit crazy but there are situations where the world really does run into this level of data. Yes, it’s comical, but heading back to the previous comparisons: to get to just a single EB would take 763 billion floppy disks or 1.5 billion CD-ROM discs. Can you imagine? Way back in 2010, the internet was already handling 21 EB per month. Almost 11 million movies in 4K format would fit comfortably inside a 1 EB storage device. A single EB could hold the entire Library of Congress 3,000 times over. A gram of DNA can hold 490 EB, at least in theory. Let that sink in for a minute. Now for the math: a single EB holds 1,024 PB or 1,048,576 TB. That’s over 1 quintillion bytes! We had to look up quintillion – yes, it’s a number!